Welcome to my webpage! Here you will find all things Dracula vampira (the Dracula orchid) including Dracula Vampira’s taxonomic classification, Habitat, Adaptations, Reproduction, Interactions, and Spooky Facts. The Dracula orchid is a very unique and interesting organism. The Dracula orchid is very unique and interesting organism. The name Dracula means “little dragon”. 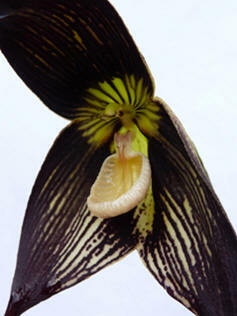 The Dracula orchid is recognized from its large and dramatic flowers. Lets begin our journey into the interesting world of the Dracula orchid by learning about the Classification of this unique and mystical organism. Lets begin our journey into the interesting world of the Dracula orchid by learning about the Classification of this unique and mystical organism. For a plethora of other neat organisms, be sure to visit Multiple Organisms.